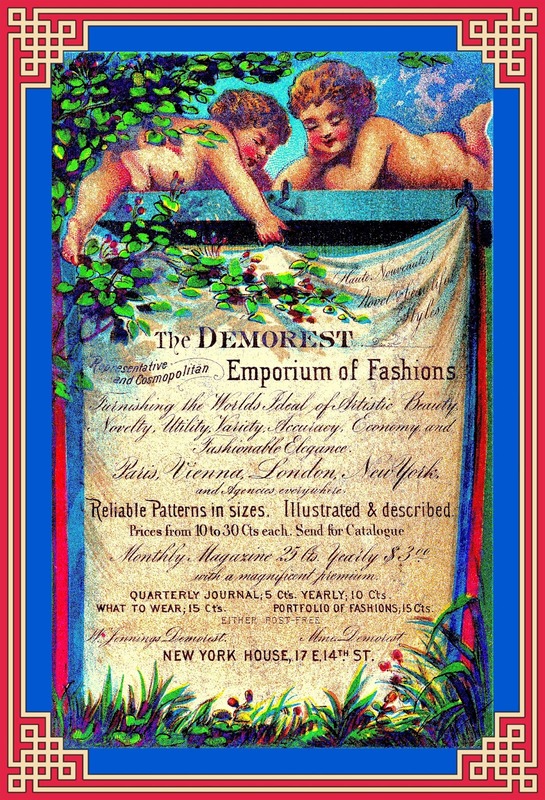 page 33 -- Maison de Modes, Demorest Pattern Co. Inc.
Wikipedia traces the career of Ellen Louise ("Nell") Demorest and the company she and her husband founded. 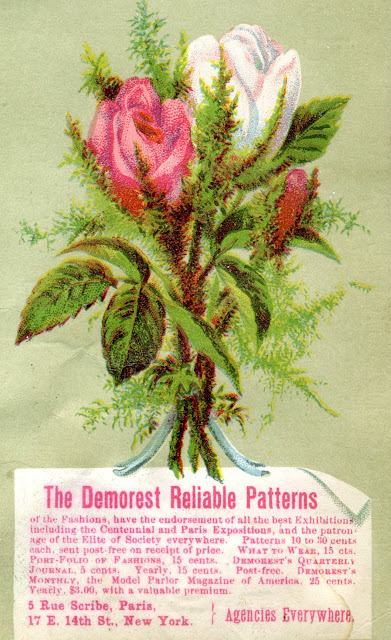 The Demorest Pattern Co., Inc. is discussed further on page 102 of the Earl J. Arnold Advertising Card Collection. "The Demorest Reliable Patterns of the Fashions, have the endorsement of all the best Exhibitions including the Centennial and Paris Expositions and the patronage of the Elite of Society everywhere. Patterns ten to thirty cents each, sent post-free on receipt of price. 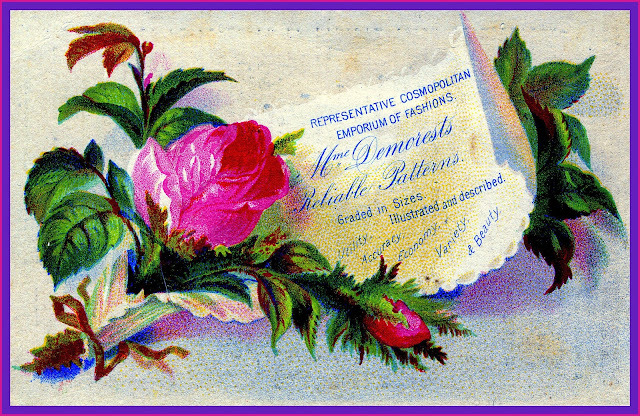 What to Wear, 15 cts. 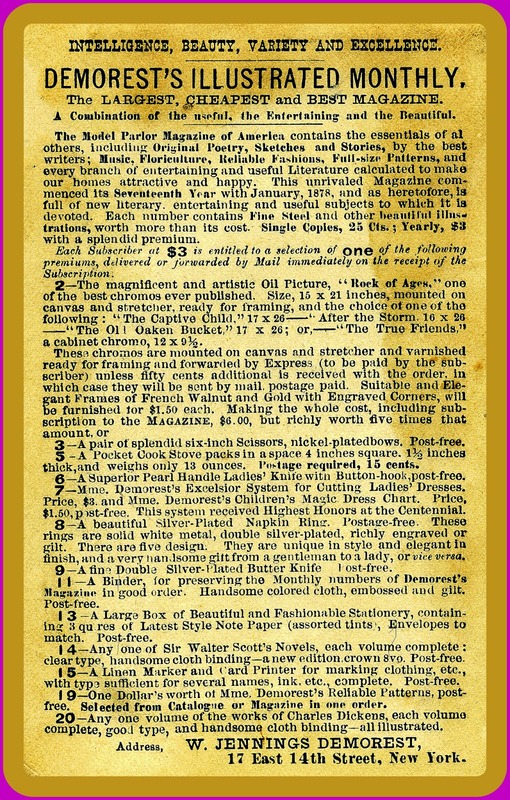 Port-Folio of Fashions, 15 cents. 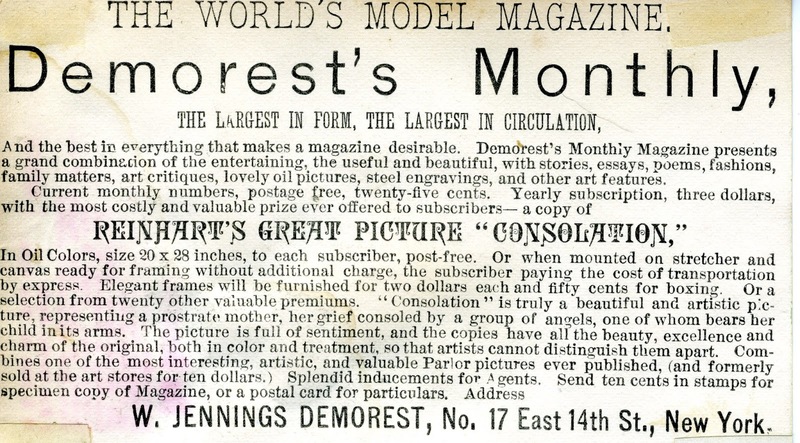 Demorest's Quarterly Journal, 5 cents. 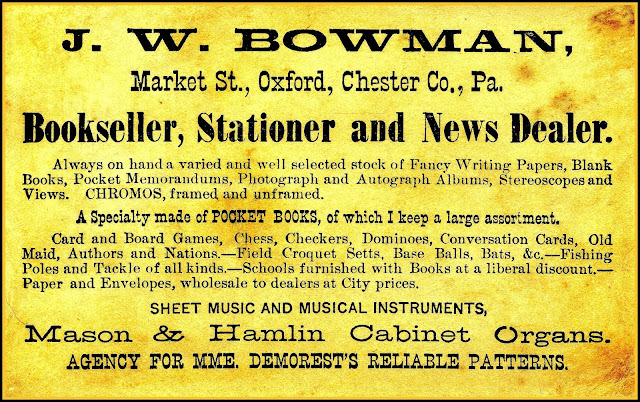 Yearly, 15 cents. 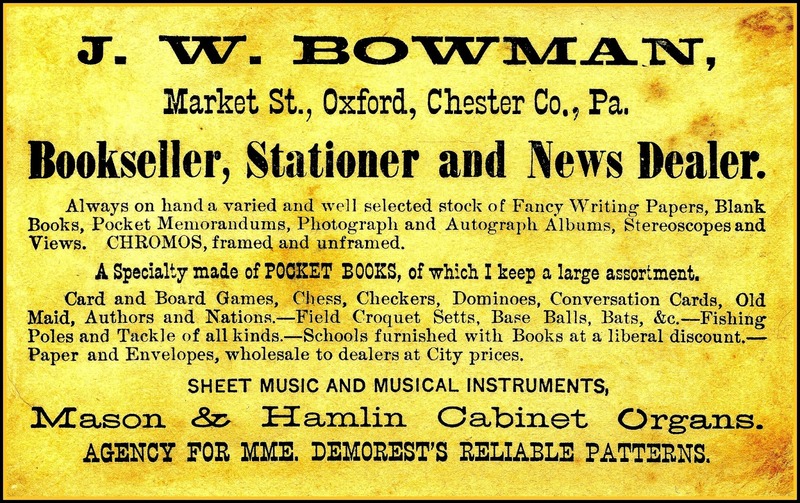 Post-free. 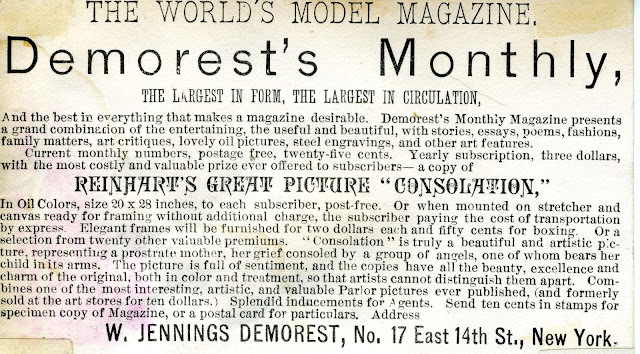 Demorest's Monthly, the Model Parlor Magazine of America, 25 cents. 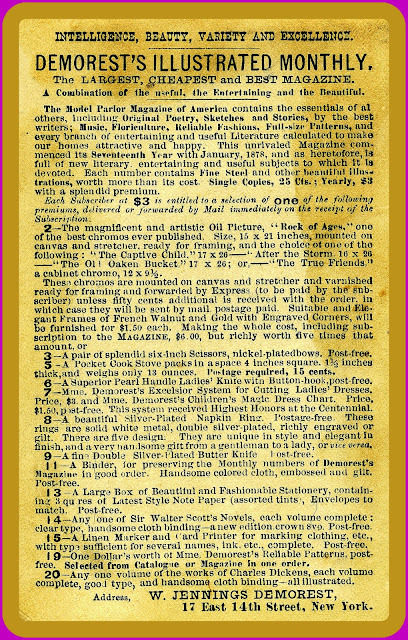 Yearly, $3.00, with a valuable premium."